Home » How To Sell On Amazon » How you can make a full time income selling on amazon? Which method will you choose to make a full time income on Amazon? If you are interested in making a full time income from selling on Amazon, there are many methods of selling on Amazon. Each method has their pros and cons. For beginners, I definitely recommend sourcing inventory locally. For example, you can focus on selling used books and media or retail arbitrage. Since I don’t want to overwhelm people with more advanced methods, this guide of making a full time income on Amazon is mostly geared towards people who source their inventory locally. If you want to make money on Amazon selling through some of the more advanced methods, check those sections out to learn more. The way most people will start out is by getting a book scanner app to scan used books and media. The way this works is you visit local thrift stores, libraries, etc. to find very cheap books that they can resell on Amazon to make a hefty profit. Preferably you will use Amazons FBA (Fulfillment by Amazon) to ship your inventory to customers. How difficult is it to make a full time income selling used books and media? 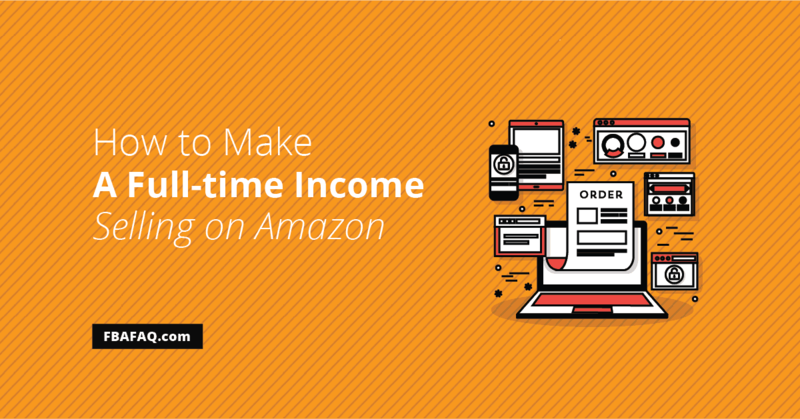 Selling on Amazon, and making a full time income can be both easy and challenging. 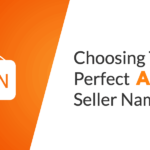 The easy part is listing your inventory on Amazon for sale, and allowing Amazon employees to fulfill and ship your orders (when using Amazon FBA). The hard part is finding inventory. There are a few factors that influence how easy or hard it is to make a full time income with Amazon – namely your location (how much books you can find) and the competition (how many other Amazon booksellers are in your town). Depending on your income goals, and your locality, you may have to spend a lot of time to reach your goals. Others may choose to do it part time and make a pretty good hourly rate for doing so. Again, it mainly depends on your location, but also your consistency and effort. For some people, their local town is a gold mine for used books. They may have many thrift stores, libraries, etc. where they can source hundreds of books per week. Some places you may find that they have limitless supplies books and other items to sell on Amazon. Other people may have to travel longer distances to find good places to source inventory. Your Community: Depending on how much you want to make online selling on Amazon, you may have to spend a good amount of time sourcing inventory. It all depends on how many donations your community is giving to the various thrift stores libraries etc. Local Competition: it also depends on how competitive your area is. 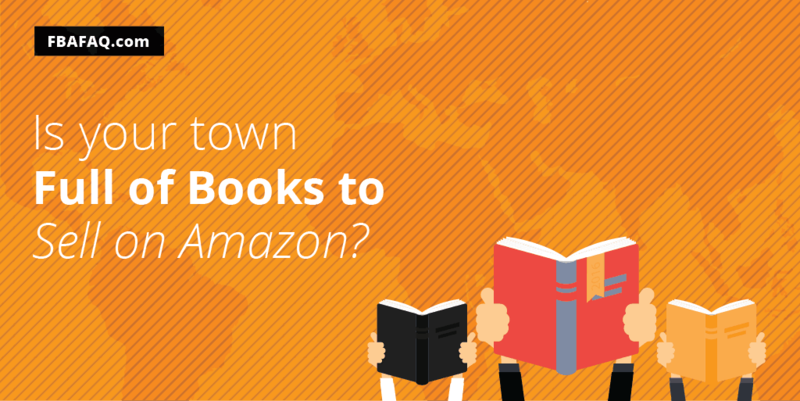 Some towns may have a lot of Amazon book sellers just like yourself. For example, if you get to a thrift store and another person has scanned all the books before you show up, you are out of luck. They have scoured the bookshelves and picked out all the best high-profit books, leaving you with almost nothing. However, whatever your income goal is for this home-based Amazon bookselling business, you can do it. You just have to set the right expectations for yourself, be persistent and realize that it’s not an overnight thing. It’s going take several months for you to get a decent, consistent income. Also, you can’t be afraid to concisely drive out to all the best locations and scout daily. This is what will make the difference between success and failure in this business. Making a full time income with an Amazon FBA Book Business – Do I make a full time income? I have done this for many years, so I know it is possible. It’s not easy, but it’s also not super difficult. It can get boring, but that’s why I just listen to audiobooks while scouting. I feel like the time I spend making money and learning is a win-win. At one point I was only doing Amazon FBA to make money, and it was my full time income source. It was my primary business that I ran for several years. However, after I started diversifying my income with other Amazon methods, E-commerce, SEO, Blogging, and internet marketing methods, I treat Amazon FBA as a part-time gig. I recommend anyone to diversify their income, just like you would your stock market portfolio. An Amazon business is a great way not only to start out on the entrepreneurial path, but it is also a great notch you can add to your income belt. It is much more passive now that they have the exceptional FBA program. I still do it daily, but I only spend 2-3 hours a day doing it. Before, I could easily go out for 8 hours and scout for books all day. Now, I only visit my local thrift stores, so I don’t have to drive a lot. It makes sense for me to continue my Amazon FBA business part time because I live next to a lot of excellent thrift stores and libraries. However, if I wanted to pick up steam and do my Amazon book selling FBA business full time, I could. I just enjoy the other methods more, and they make more over the long run. However, for a beginner, starting an FBA book selling business is very doable. In fact, it is the easiest business to start that I know of because you don’t need much money to start. You also are taking advantage of an Audience that Amazon has already built. So how do you actually make a full time income selling on Amazon? Plan ahead: You need to plan on all the different locations you will visit each day and each week. You want to have a solid plan, rather than just winging it. Scout Daily: You want to make it a habit to scout for inventory daily. This is key. List daily or weekly: This is another key to making this business work. You must send your inventory into Amazon for it to sell right? Many people scout tons of books and procrastinate on sending it into Amazons warehouse for fulfillment. I tend not to like this step either, so I like to scout for books until I get a good amount (maybe 100-200 books), then I will send all books in once I get to a certain threshold. I like to work in bulk anyways, as it tends to save time. Set Goals: To make at least $3,000 per month, you may need to get around 100 books a week (more or less depending on average profit per book). To make $5,000 a month, you may have to get almost 200 books a week. You need to set an income goal and a goal for how many books you will get every week. Keep at it: Don’t give up. If you have a bad day and don’t find many books, just remember that it’s all about averages. Some days you will get nothing, other days you will pick up several books that will add up to making you $500 or more. Don’t let the bad days discourage you, because there will be good days ahead. Give it time: If you are new, don’t expect to make a lot of money right off the bat. You may only make a few hundred the first month (or more if you hustle). With this business, every time you send in the books to Amazon, it will take ten days sometimes for them to get your inventory sorted and live. Your income will grow as you keep adding books. This business is not a get rich quick business, but it is a business that is hard to fail and can make you a full time income if you stick with it. Don’t be shy, leave a comment with any questions, or comments about creating an income using Amazon! I am a new FBA Seller. Trying to sell books and I really have been down about my store. I only have a small amount about 50 books in my Store and haven’t sold one thing. But reading your post about 100-200 a week! I understand why I havent made anything. I’ll keep at it and hope that it’ll be worth it later. I noticed that sometimes when I scan books through the cover the price on Amazon Seller app is different then when I scan the actual bar code which really screwed me over with a few products. I hope I continue to do this as it becomes un-motivating to see my inventory not moving and it takes hours upon hours to find books that are worth any sort of profit. Hey Ashley, Thanks for the comment. Apologies for the late reply, I didn’t see it earlier. Yeah, I would just keep at it, and keep building up your inventory! Also, yes I have had the same thing happen to me with the Amazon seller app. I have noticed that when I scan books with the Amazon app through the cover recognition feature on my iPhone camera (rather than scanning the barcode), it brings up more expensive items. I think they do this because they are trying to show you the higher priced items to buy it. This can screw up your whole inventory and cause you to buy items that never sell. It can give you high prices, when in fact, the item may be much lower when you go to list it. I may have to write a post on this with examples, but I think I know exactly what you are talking about. Just keep at it, and scan the barcodes! Over time, you will start to build up your inventory, and you will start to see more consistent sales and income.